Panda PCB Technology Co., Ltd established in 2005, a high technology PCB manufacturing company in China, is strategically located in the Shenzhen Special Economic zone, We are committed to total customer satisfaction through quality product, on-time delivery, quick turn manufacturing capability, competitive price and good customer service. the company has developed to a high technology concentrated, research guided professional PCB manufacturer. 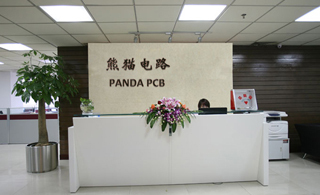 Panda PCB is managed by a team of professional managers and PCB experts and we are flexible in running the operations to meet your urgent needs, We can meet different order volume, prototype, small batch, and mass production, No lot size is too small. Now the company has a partnership with hundreds of enterprises, Business has been extended to Europe, Australia, Asia, America and the other countries, to solve the whole or part of the project design and production services for customers. We have Shenzhen plant and ChangSha plant two PCB factories, Shenzhen plant is to support the quick turn order,prototype and small batch. Mass production is handled by our big plant in ChangSha with currently around 1200 employees, Including 85 professional engineer with experience more than 8 years. Engineering Capacity can be more than 6000 new orders per month. Two factory total covers an area of 20000 square meters, The rigid PCB capacity was 40000 square meters per month,And 5000 square meters per month for flex PCB. Delivery on time is our constant commitment, high quality is our eternal pursuit. Panda PCB had passed ISO9001: 2008 and ISO14001: 2004 and TS16949: 2009 international management system. The company religiously implemented the above system, continuously invested in the most up-to-date equipment and aggressively acquired the most advanced technology to make sure that we can provide the reliable solution to our customers. Also,To ensure adherence to laws and regulations. As a result, Panda PCB is able to offer its customers all kind of superior quality multi-layer printed circuit boards (up to 30 layers) regardless of the quantity level of the order. Most of the PCB products were applied to the power supply, computer, telecommunication, automotive, security electronics products, industry control, light engineering and medical product. 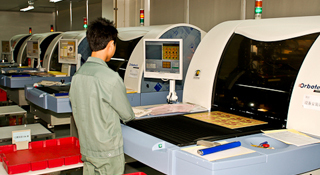 Throughout the years, we had built up our good reputation and become a reliable long-time PCB supplier of our customers.